CLEVELAND, Ohio (WJW) -- A mother and her boyfriend have been arrested and are facing charges of involuntary manslaughter after the woman's 2-year-old son died from a drug overdose. According to court documents, John Hines Jr., 33, is accused of bringing illegal narcotics into the East 140th Street home of his girlfriend, Tessa Gadd, 24, on March 3. Gadd's son, Lorenzo Ealom Jr., then consumed Suboxone, which is a medication prescribed to heroin addicts to help with their addiction. 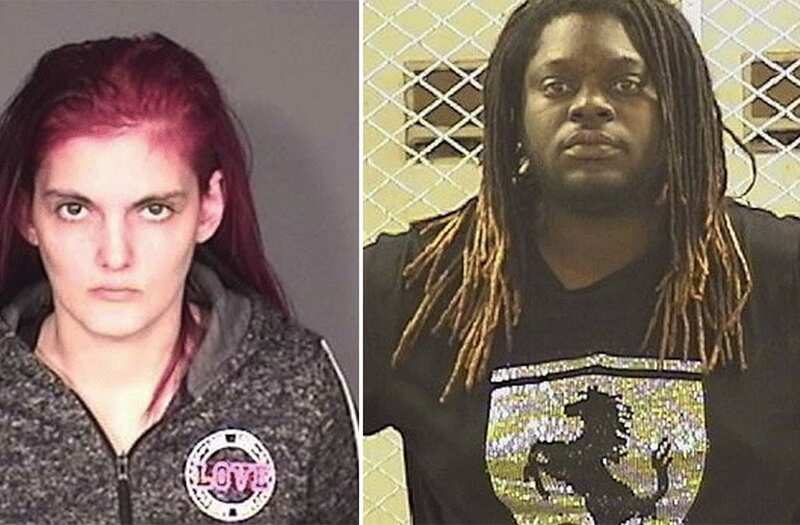 A mother and her boyfriend have been arrested and are facing charges of involuntary manslaughter after the woman's 2-year-old son died from a drug overdose. According to court documents, John Hines Jr. (pictured), 33, is accused of bringing illegal narcotics into the East 140th Street home of his girlfriend, Tessa Gadd, 24, on March 3rd . Tessa Gadd's son, Lorenzo Ealom Jr., then consumed Suboxone, which is a medication prescribed to heroin addicts to help with their addiction. The toddler had a high dosage of cough medication and Benadryl in his system, along with indications of prior cocaine ingestion. The child was not taken to the hospital, but rather was dropped off at his daycare. He was later taken by ambulance to the hospital, where he was pronounced dead. The child was then not taken to the hospital, but rather was dropped off at his daycare. Ealom was later taken by ambulance to the hospital, where he was pronounced dead.